The Umbrella Movement in 2014 put Hong Kong on the world map and elevated this docile, money-minded Asian island to a model for pro-democracy campaigns across the globe. 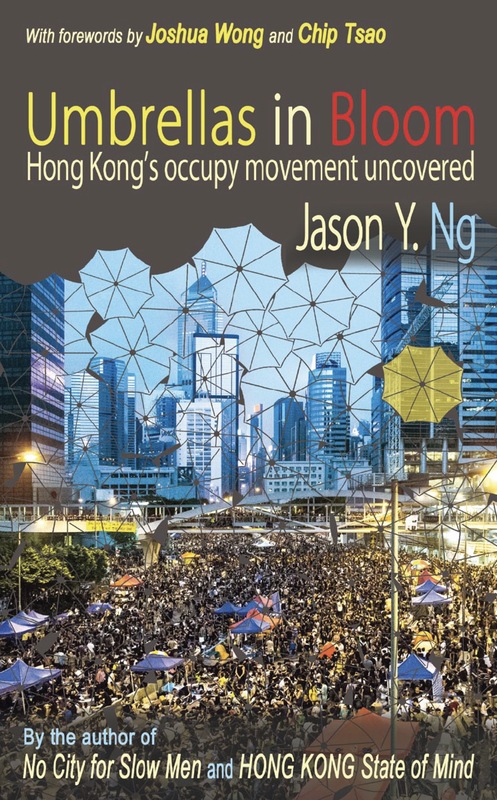 Umbrellas in Bloom is the first book published in English to chronicle this history-making event, written based on the author's firsthand account at the main protest sites. It steps through the 79-day struggle, from the firing of the first shot of tear gas by riot police to the evacuation of the last student protester from the downtown encampments. It is all you need to know about the occupy movement: who took part in it, why it happened, how it transpired, and what it did and did not achieve. Umbrellas in Bloom debuted on Amazon.com in 2016 as the certified No.1 New Release in the “Hong Kong History” category. It was reprinted within three months of its first release. Together with HONG KONG State of Mind and No City For Slow Men, Umbrellas in Bloom forms Ng’s ‘Hong Kong Trilogy’ that traces the city’s sociopolitical developments since its return to Chinese rule. Three years after his bestselling debut HONG KONG State of Mind, the author returns with a sequel that is bigger and every bit as poignant. Currently in its fourth printing, No City for Slow Men is a collection of 36 essays that examine some of the pressing social, cultural and existential issues facing Hong Kong. It takes the reader on a tour de force from the gravity-defying property market to the plunging depths of old age poverty, from the storied streets of Sheung Wan to the beckoning island of Cheung Chau, from the culture-shocked Western expat to the misunderstood mainland Chinese and the disenfranchised foreign domestic helper. The result is a treatise on Hong Kong that is thought-provoking, touching and immensely entertaining. 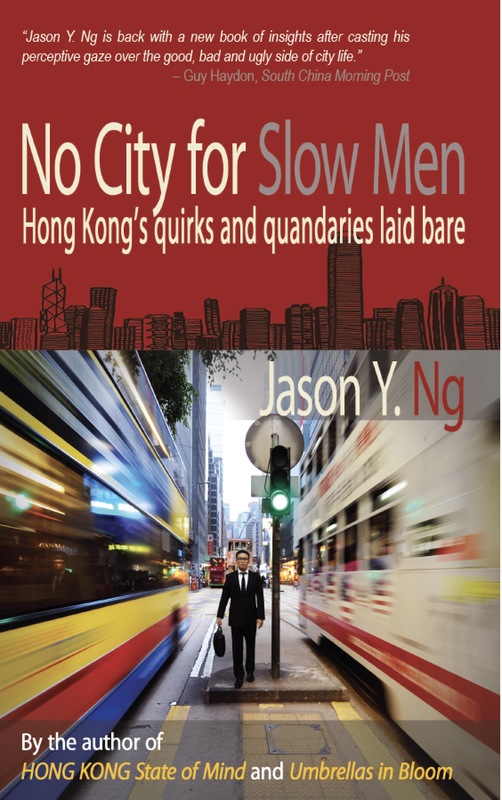 No City for Slow Men was selected as “Best Book in 2013“ by Bookazine and as the book award for hundreds of Harvard Club Book Prize winners from 135 secondary schools in Hong Kong. It has been a top 10 bestseller at major bookstores in Hong Kong. In January 2014, it took the number one spot on Bookazine's bestsellers chart. The book is being used as teaching materials in social studies and creative writing classes at, among other places, Hong Kong Baptist University, Savannah College of Art and Design and Yew Chung Community College. 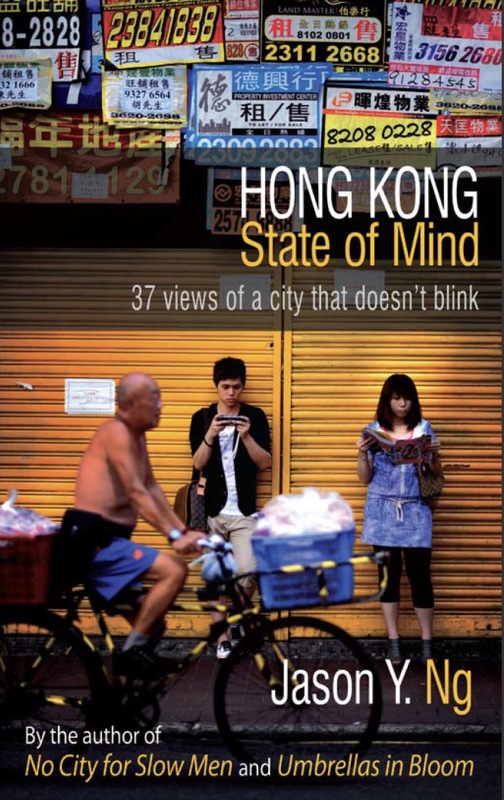 Released in 2010 to rave reviews and currently in its sixth printing, HONG KONG State of Mind is a collection of essays that zero in on the city's idiosyncrasies with deadpan precision. At once an outsider looking in and an insider looking out, the author has created something for everyone: a travel journal for the passing visitor, a user's manual for the wide-eyed expat, and an open diary for the native Hong Konger looking for moments of reflection. In 2016, HONG KONG State of Mind was the certified No.1 Bestseller in the “Hong Kong History“ category on Amazon.com, the world's largest bookseller. 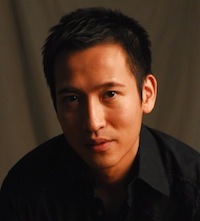 Jason is working on a new non-fiction title exploring the Hong Kong identity, expected to be published in 2020.